Once you have completed the conversion of a movie with Movies2iPhone you need to move the file to your iPhone, iPod or iPad. Step 1: Plug your iPhone, iPod or iPad to your computer. This will launch iTunes. If not, start iTunes manualy. Step 2: In iTunes, go to the 'File' menu and click 'Add File to Library...'. This will open a file box in which you need to select the video you have just converted. The file you are looking for is located in the directory you have choosen as 'Destination Directory' in Movies2iPhone and the file name is the same as the source file except it has a '.mp4' extension. 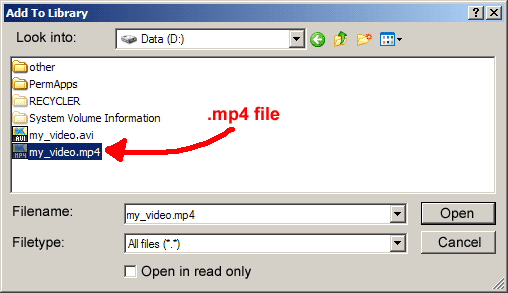 In my example, the detsination folder is 'D:\' and the source file is 'my_video.avi'. 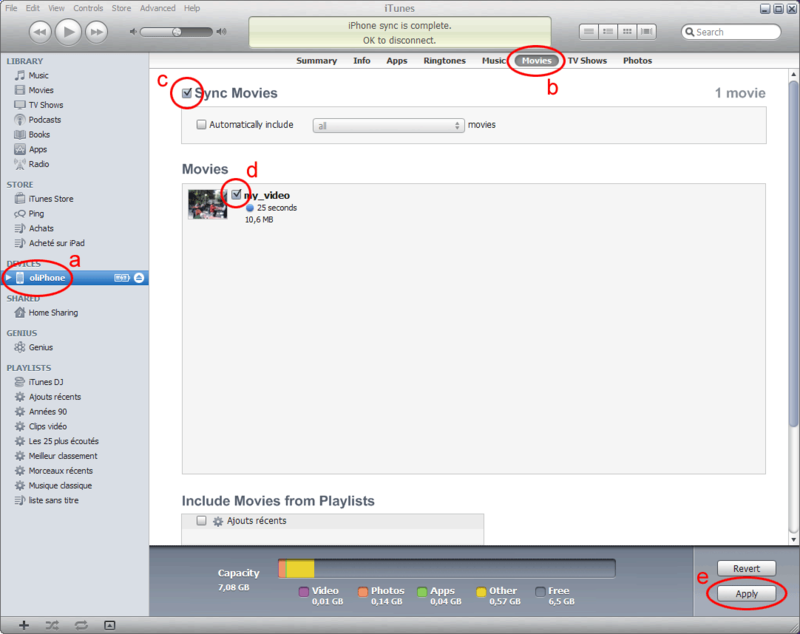 Thus, in iTunes 'Add File to Library...' box, I have browsed to my 'D:\' directory and selected the 'my_movie.mp4' file. Once you have selected the file, click 'Open' and wait for iTunes to add the file to its Library.